If you experience an issue with Avast Antivirus, we recommend you verify that the program is properly installed, activated, up to date, and protecting your PC before taking further troubleshooting steps. 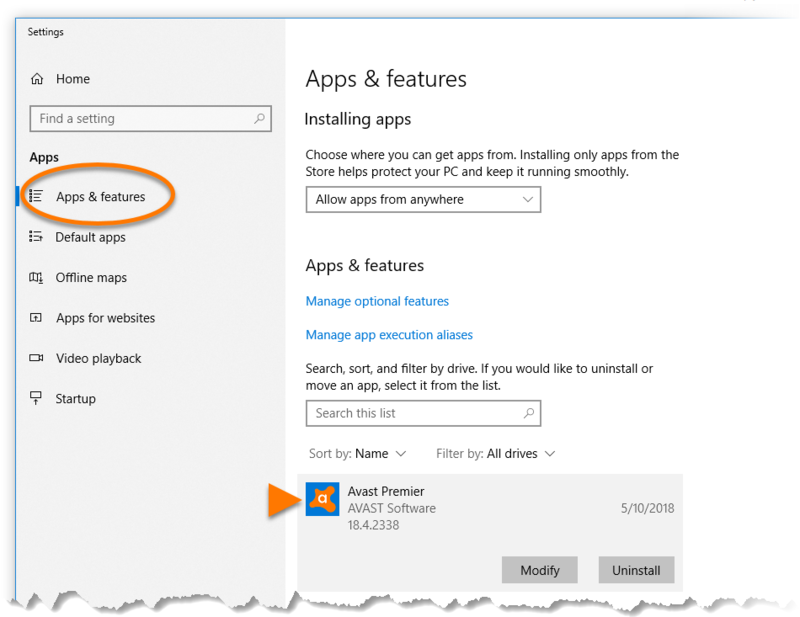 Ensure that your version of Avast Antivirus is visible in Apps & Features. Ensure that your version of Avast Antivirus is visible in Programs and Features. Ensure that your version of Avast Antivirus is visible in the list of programs and features that appears. 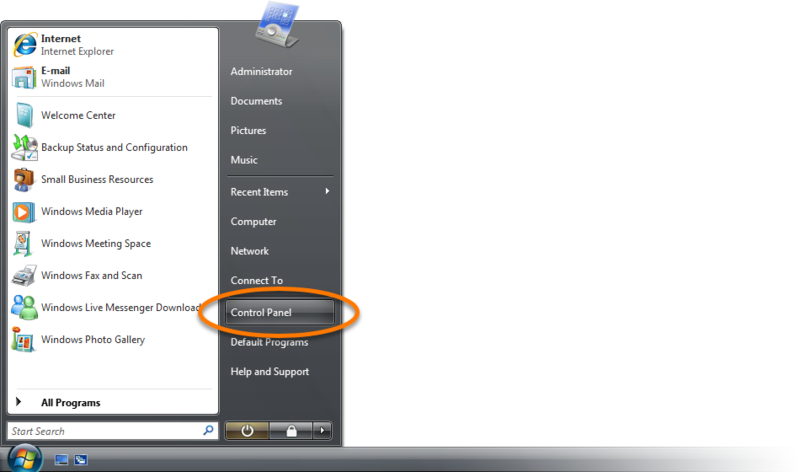 Right-click the Avast icon in your system tray and select Subscription information from the menu that appears. 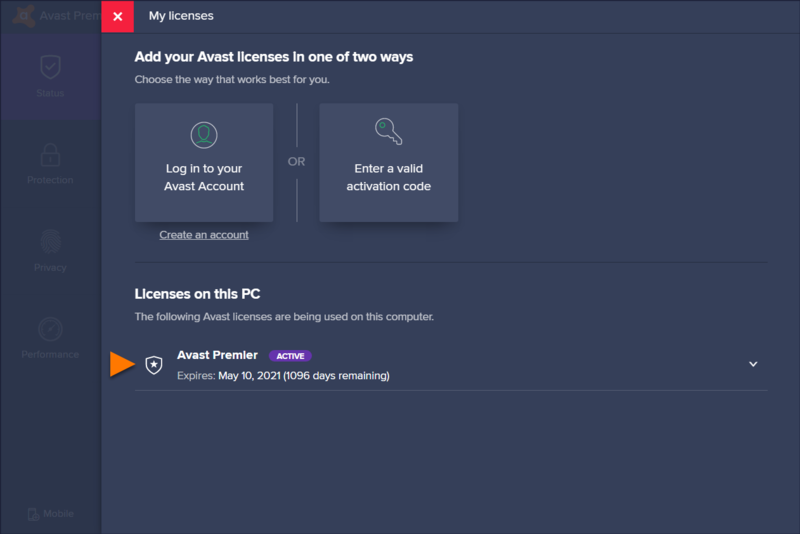 On the My licenses screen, confirm that the text Active appears next to your version of Avast Antivirus listed under Licenses on this PC. You can also see the expiration date and number of days remaining for your active license. 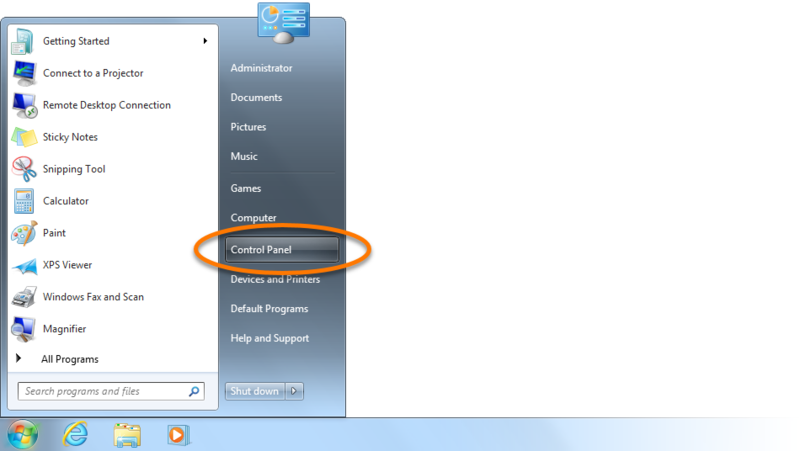 Right-click the Avast icon in your system tray and select About Avast. 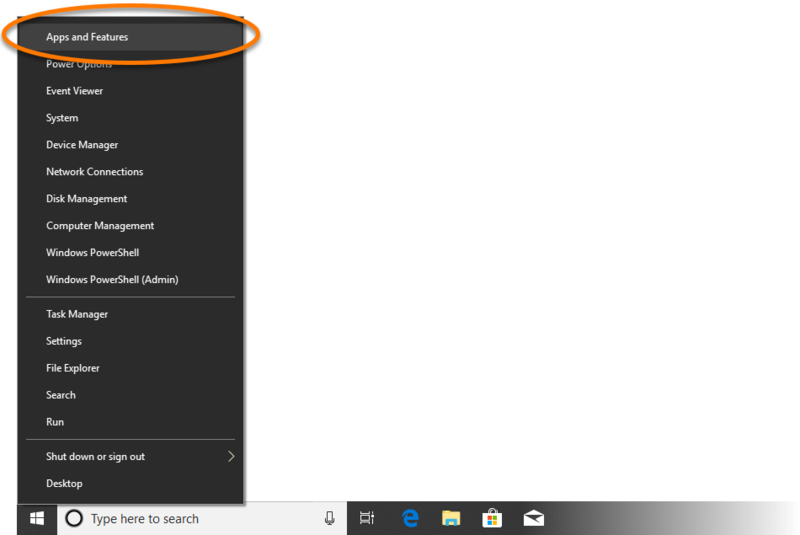 Ensure the Status tab is selected from the left panel. 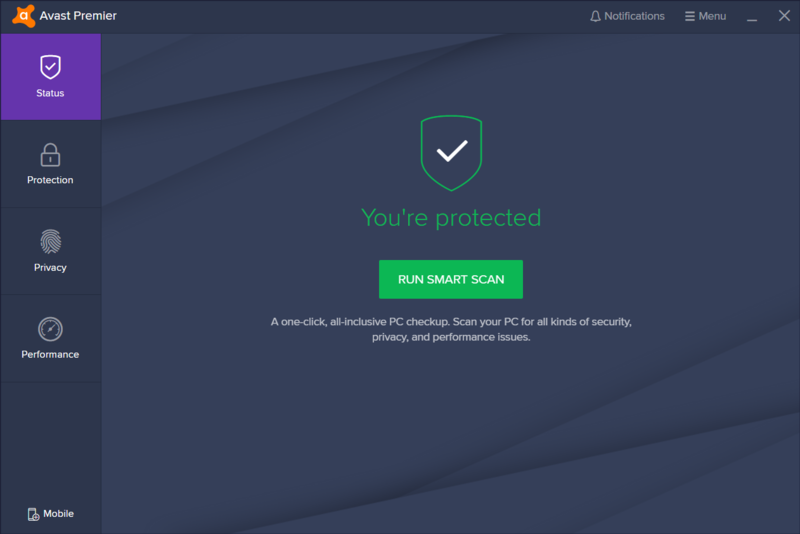 The Green Status screen with text You're protected indicates that all protection components are enabled, and Avast Antivirus is actively securing your PC. When this status appears, no actions are required. Resolve: resolves an issue with active protection components, such as Core Shields. Turn On: enables components which help to ensure maximum protection, such as Firewall or automatic updates. 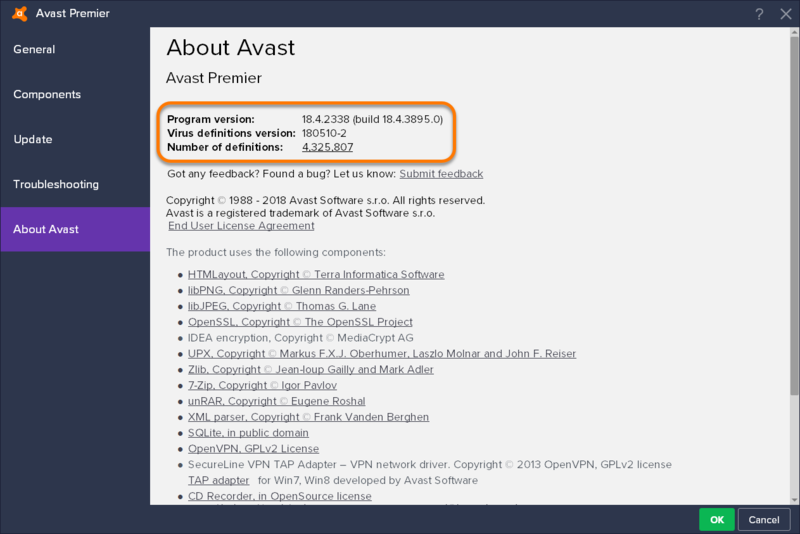 Update: updates your Avast Antivirus to the latest program version. Activate / Reactivate: prompts you to select a subscription plan to activate Avast Antivirus. Restart Now: reboots your PC to complete an update of all Avast Antivirus components. If more than one issue needs your attention, you can click View All Issues. 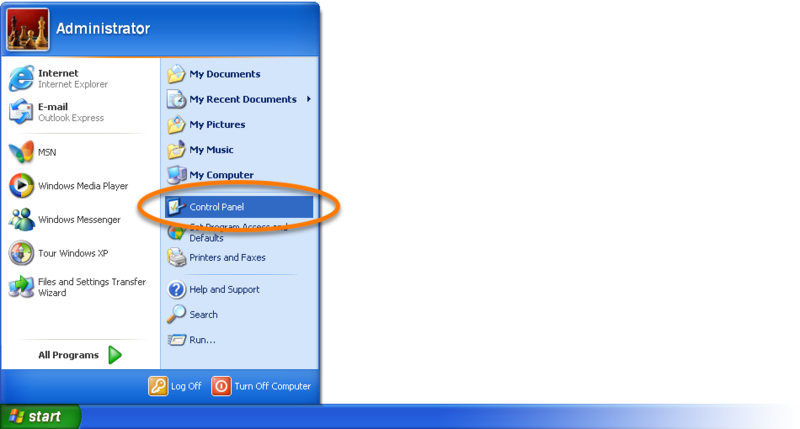 Then, select an action for each issue using the relevant drop-down menu.